WHERE IS THE ENTRY TO THE LAZY BOWEN HIDEAWAY? That question will be answered with our new entry gate and trellis. All these decisions take much discussion, back and forth, and then finally a solution that will work for all. 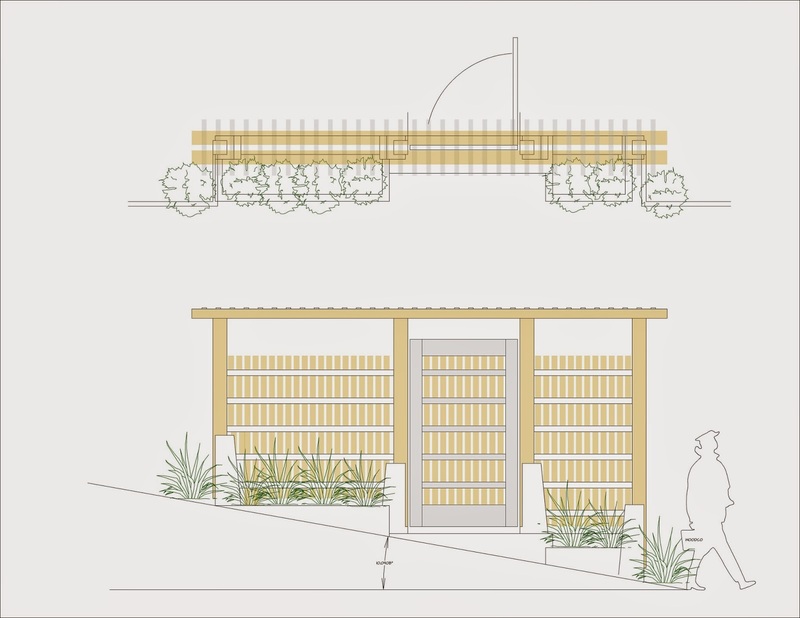 We are so excited to have finalized the entry gate design. The purpose was to clearly announce the entry to the Lazy Bowen Hideaway. In addition it will provide a privacy screen to the front door of the house. The gate sits back toward the house another 2 feet from the existing fence line, drawing guests into the property. Planters are included. We are excited about this improvement. What do you think?